Complaints about payday loan middlemen - so-called credit broking websites - have more than doubled in the last year, according to new figures. The Financial Ombudsman Service (FOS) said it had been contacted by more than 10,000 people since January this year. In the worst cases, consumers found hundreds of pounds 'drained' from their bank accounts by the websites. The credit brokers have previously insisted that most customers are happy with their services. Nevertheless, one debt charity is now calling for the up-front fees they charge to be banned. The credit broking sites are designed to help people find the best value loan for their needs. In too many of the cases we sort out, no loan is provided and people's bank accounts have been charged a high fee, often multiple times. But they can also charge hefty fees. However, according to the FOS, many consumers are unaware that they are using a broker, rather than a loan company itself. As a result, they readily enter their bank account details. 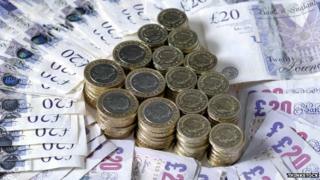 But instead of receiving a payday loan, they are charged broking, or membership fees, of up to £100. Banking details are often passed on to other websites, meaning that some people have been charged multiple times. One woman was charged £70 by ten different sites, losing £700 in the process. The FOS said that many of those affected are already struggling financially. And many never actually receive the loan they need. "In too many of the cases we sort out, no loan is provided and people's bank accounts have been charged a high fee, often multiple times," said Juliana Francis, the senior Ombudsman. The debt charity StepChange wants to see the practice of charging membership fees in advance made illegal. "This is a well-known problem, but it continues to get worse," said Peter Tutton, the head of policy at StepChange. "The time has come for government and the regulator to ban credit brokers from charging up-front fees," he added. The industry regulator, the Financial Conduct Authority (FCA), said it was aware of the Ombudsman's report, but would not comment on any possible plans to investigate the sector. Under rules published by the previous regulator, the Office of Fair Trading (OFT), credit brokers have to make their charges clear to consumers. Among the most popular credit broking sites are companies like Smart Loans, Secure my Money, and Loans Zoo. None could be reached by the BBC. Callers to two phone numbers previously provided by one company now hear only classical music. However Paul Williams, a director of Click4profit, which owns Smart Loans, has previously said that most customers are satisfied with its service. He also offered to issue refunds to anyone who is unhappy. The Smart Loans website makes it clear that it "compares all types of consumer finance options", although readers to its front page are not warned about fees. The FOS said that most of the websites refunded the cash as soon as they learnt that the Ombudsman was involved. In a separate report, the ombudsman also said that it was investigating 794 consumer complaints about payday lending in the 2013-14 financial year, up 46% compared with the previous 12 months. A total of 660 complaints were resolved, with almost two thirds upheld. However, the FOS said that the number of complaints did not reflect the real scale of the problem for consumers, as many calls to its helpline did not result in formal complaints. Juliana Francis, senior ombudsman, said: "We are not seeing the volumes of payday loan complaints we would expect, given the implied size of the problem." Wonga, the biggest payday lender, received the most complaints with 237 in 2013-14, followed by Casheuronet, which owns brands including Quick Quid and Pounds to Pocket, with 50.